On rainy days, nothing gives greater joy than standing next to a hot and steaming tava on which delicious tikkis are being cooked. 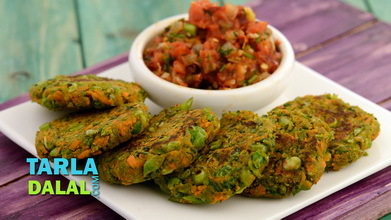 When the oil vapours, thick with the aroma of the tikki’s ingredients reach your nostrils, your appetite shoots up! 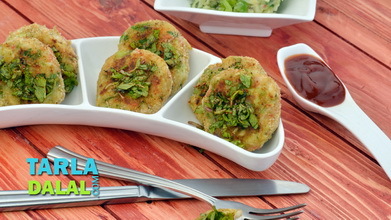 Yet, the fact remains that the traditional tikkis are laden with fat and starchy ingredients. 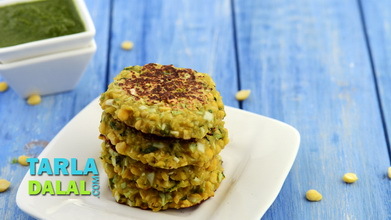 Here is a heart-friendly, low-cholesterol variant made with fibre and protein rich ingredients like soya and chickpeas. 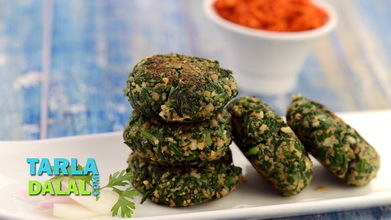 With mint leaves, ginger and other flavourful additions, these soft and succulent Chickpea and Soya Tikkis are a real mouth-watering lot. Just take care to roll the tikkis thinly so they get evenly cooked. Soak the soya granules in enough hot water for 10 to 15 minutes. Drain and squeeze out all the water. 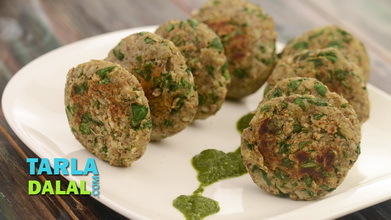 Combine the soya granules, kabuli chana and mint leaves and blend in a mixer to a coarse mixture without using water. Transfer the mixture into a bowl, add the ginger-green chilli paste, garlic paste and salt and mix well. Divide the mixture into 10 equal portions and shape each portion into 50 mm. 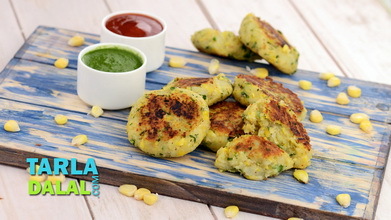 (2”) flat, round and thin tikkis. 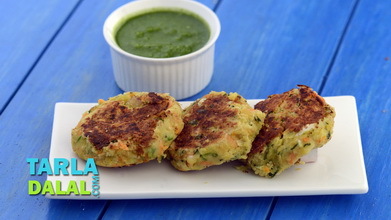 Heat a non-stick tava (griddle), grease it using ¼ tsp of oil and cook the tikkis, a few at a time, using ? tsp of oil till they turn golden brown in colour from both the sides.